Bloom’s taxonomy, introduced in 1956 and revised in 2001, is one of the most well-known frameworks for classifying educational goals, objectives and standards, and it is practically synonymous with the cognitive domain. 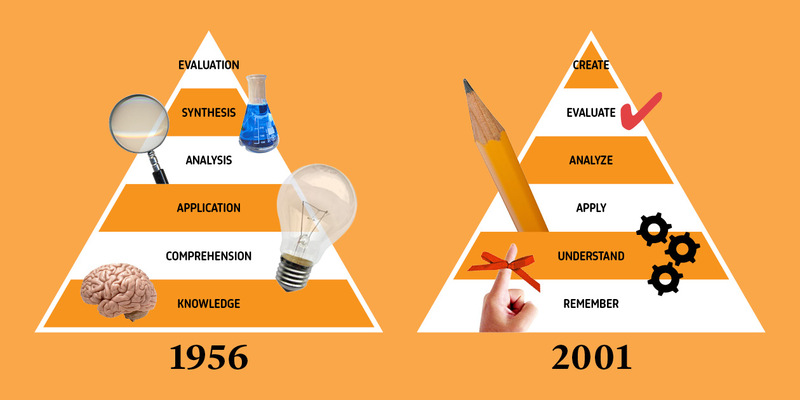 Bloom’s taxonomy is traditionally structured as a pyramid. Basic skills lie at the bottom, and more advanced ones reside at the top. As students progress, they make their way to the pinnacle. In the cognitive domain, these skill levels range from remembering to creating. Bloom’s is often used for lesson planning, and for selecting appropriate assessment questions for each stage. But an alternative way to look at Bloom’s taxonomy in the cognitive domain is to introduce a new dimension to the pyramid: the knowledge dimension. In this blog post you’ll read about the different levels of the knowledge dimension, how to apply it, and some of the challenges involved. Download our free e-book, The Professor’s Guide to Bloom’s Taxonomy, for even more real-life applications of Bloom’s in the higher education classroom. What is the cognitive domain? The cognitive domain is one of the three domains of measuring learning. It focuses on acquisition, retention and usage of knowledge, whereas the affective domain covers emotions and values and the psychomotor domain includes physical movement and coordination. Bloom’s taxonomy for the cognitive domain contains the intellectual skills that are normally seen as the traditional focus of academia. In the illustration below, on the left you’ll find the original 1956 version of Bloom’s taxonomy, and on the right the revised version (which you might be more familiar with). What changed for the cognitive domain in the revised Bloom’s taxonomy? First, to reflect that learning is an activity, the category names were changed from nouns to verbs. So, for example, the “application” level became “applying”, the “comprehension” level became “understanding”, and so on. Second, two categories switched spots: synthesis (creating) and evaluation (evaluating). The revised taxonomy puts creating at the pinnacle of the hierarchy. Third, the revised Bloom’s taxonomy proposed something far more radical: the idea that each category of the cognitive domain could itself be broken down into degrees of knowledge. 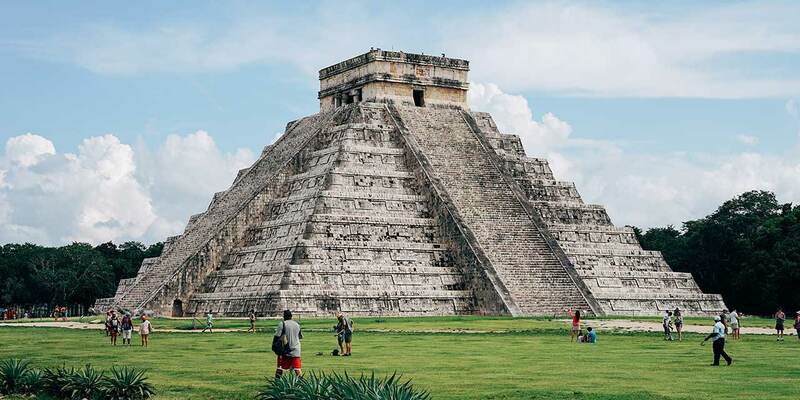 This means four stages—collectively known as the knowledge dimension—can be added to each layer of the pyramid: factual, conceptual, procedural and metacognitive knowledge. When we apply the knowledge dimension to the pyramid, we get a matrix that allows educators to not just assess how far up the pyramid each student is, but the level of understanding and awareness at each stage. The highest level in the knowledge dimension is metacognition, or knowledge about knowing. Metacognition involves awareness of one’s own thinking and its limits, especially in relation to general ideas about how learning happens. Educational psychologist Richard Mayer describes this in a 2004 paper as the difference between rote learning and meaningful learning. As educators, we are always interested in nurturing meaningful learning, even if we sometimes settle for correct answers, accurately repeated. So how can you make your students aware of their own learning? Explicitly teach metacognition to your students, and develop a classroom discourse about learning. Set aside time to teach for and assess metacognitive skills, and identify and label metacognitive practices for students while they are engaging in them. Here are some phrases you can use or adapt. When you demystify the learning process in this way, it promotes self-awareness and inclusivity. Science and English are no longer subjects some people simply “get” and others don’t. The cognitive domain + the knowledge dimension = ? Metacognition is something that can be taught and tested for in any category of the cognitive domain: you don’t need to wait until your students are at the upper layers of the pyramid (creating or understanding). Take, for example, the lowest tier of the cognitive domain, remembering. Learners can demonstrate factual, conceptual, procedural and/or metacognitive remembering, each stage progressively more advanced. One way metacognitive remembering can be achieved is if your students are able to identify general strategies for retaining information. In practice, these overlapping ladders of the cognitive domain and the knowledge dimension do have limits and need interpretation. Is it better for a student to have achieved factual knowledge of creating rather than metacognitive knowledge of remembering? Which direction—up the pyramid, or deeper into it—is more important? It’s ultimately down to you and your classroom, in the end, and in my opinion Bloom’s revised taxonomy cannot answer such questions. In fact, you should feel free to look at ways to reshape the pyramid and adapt what works best for your teaching style. Remember: Bloom’s taxonomy was created to serve teachers, not the other way around. For more practical tips about how to implement Bloom’s taxonomy in your classroom, download our new e-book, The Professor’s Guide to Bloom’s Taxonomy.Fill in the form below to receive your copy. Karen Quevillon earned a PhD in Philosophy from Northwestern University and lives in Hamilton, Ontario. She teaches writing, literature and liberal arts courses in-class and online at Ontario colleges. A published author of poetry and fiction, she has worked as a freelance writer for almost a decade.